The oats have a very low G.I., meaning that the carbohydrate is released into your bloodstream slowly and therefore will sustain your energy levels and help prevent those 11 o’clock food cravings. 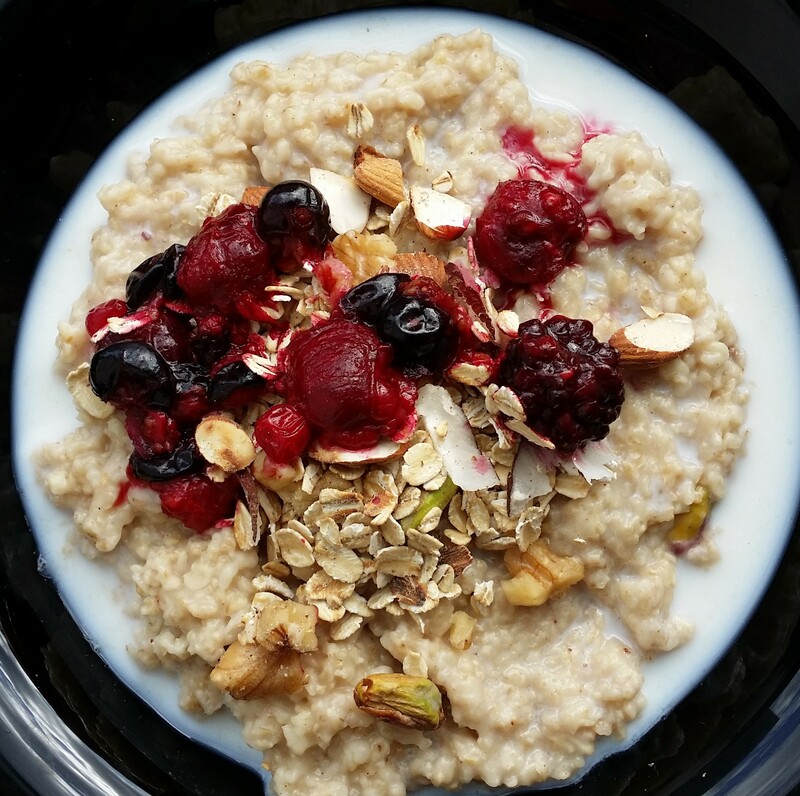 What’s more, studies show that a bowl of porridge can lower cholesterol. • Bring water to boil in a small saucepan over high heat. Add salt and oats and reduce the heat to the lowest flame. Stir occasionally to be sure that the grains don’t stick on the bottom. • If your using frozen berries defrost before serving or they will make the porridge cold. • Roasting nuts is optional & you can use raw nuts as well. Posted on April 13, 2014, in Breakfast, Breakfast, Indian, International and tagged BERRIES, drchdietfood, nuts, oats Porridge, Porridge with nuts. Bookmark the permalink. Leave a comment.